He might be going head-to-head with the potential first female president of the United States, but Bernie Sanders' positions on women's rights are going to be hard to contend with. The progressive candidate's platform offers resounding proof that fighting for women takes more than electing a female president. While Hillary Clinton has made women's issues a central part of her campaign, and has advanced the women's movement just by being in the race, Sanders has also consistently been in the trenches battling against the war on women. If he is elected president, Sanders promises to help women in a multitude of ways, and we have every reason to believe he will deliver. Ever since the start of the 2016 election cycle, Clinton has been regarded as the obvious choice for women, and that partiality has been reflected in recent polls. According to a recent Suffolk University/Boston Globe poll, while Clinton and Sanders are neck-to-neck overall in New Hampshire, Sanders is still trailing with the women's vote. 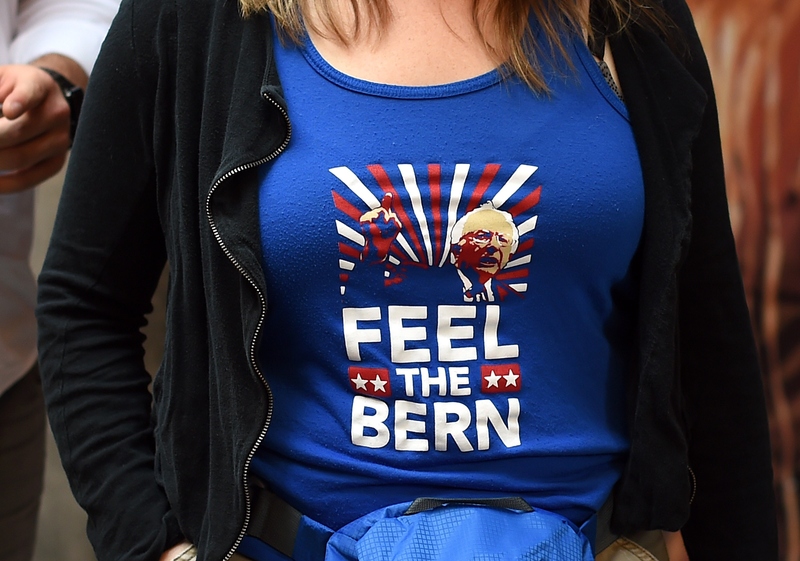 The poll found that women in New Hampshire favored Clinton at 41 percent, followed by Sanders at 34 percent. But could her lead be mainly due to her symbolic appeal? Upon closer inspection of Sanders' platform, it becomes clear that he might actually be the best candidate for women. In fact, here are nine things he has promised women if he were elected president. Sanders has been downright aggressive in this arena, and that's exactly what we need, given the equally aggressive attacks on Planned Parenthood from conservatives this past year. Sanders has promised to expand Planned Parenthood as well as the Title X Family Planning program if he's elected. He has also vowed to only elect Supreme Court Justices who support Roe v. Wade and women's reproductive rights. Sanders' passion for ending income inequality is quite unparalleled, especially when it comes to the inequality between genders, which the senator recognizes is even more extreme for African-American women. If he is elected, Sanders vows to sign the Paycheck Fairness Act into law to close the pay gap once and for all. Sanders will fight to make it easier and less stigmatized for survivors of domestic violence to come forward by expanding the programs under the Violence Against Women Act and the Family Violence Prevention and Services Act. On his official campaign site, Sanders calls America's lack of paid family leave "an international embarrassment." Under his administration, employers would be required to give all employees at least 12 weeks paid family and medical leave so that new parents can bond with their infants. As a longtime proponent of single-payer health care, Bernie would continue to fight for a Medicare For All single-payer healthcare system, which he says would benefit women the most. He will also expand Medicare and Medicaid. Sanders has proposed a plan that would make quality childcare and pre-K accessible for all women, no matter their financial situation. On his site, Sanders cites statistics that show that women make up two-thirds of all minimum wage workers. In another effort to close the pay gap, Sanders would increase the minimum wage to $15 by 2020 to benefit more than 15 million women. The WIC program offers nutritional assistance to low-income pregnant, breastfeeding, and postpartum women, as well as infants and children up to age five. Sanders has fought against Republican attempts to cut the program, and as president, he would expand it. Sanders also vows to expand Social Security benefits by an average of $65 per month, which could benefit women more, since more than twice as many elderly women lived in poverty than men in 2013, according to his site.